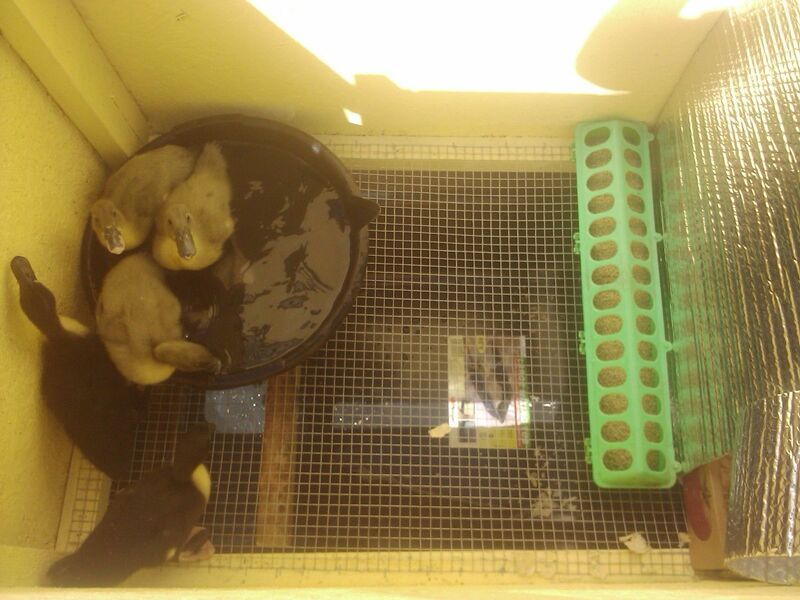 I made this out of recycled shipping crates for my week old ducks. Produce box about 18 x 24 x 4" I think tomatoes came in it. Free, disposable and easily replacable! 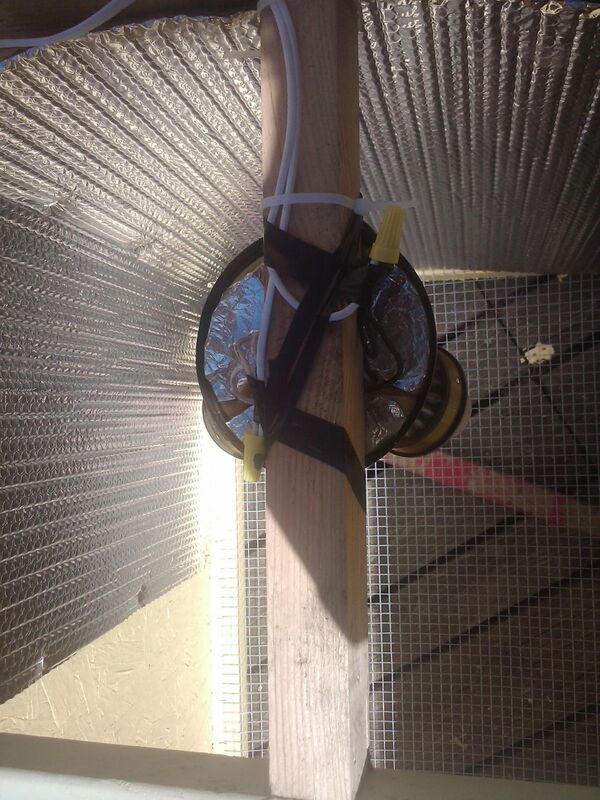 I put the T in to hang the light from and staple the insulation to. 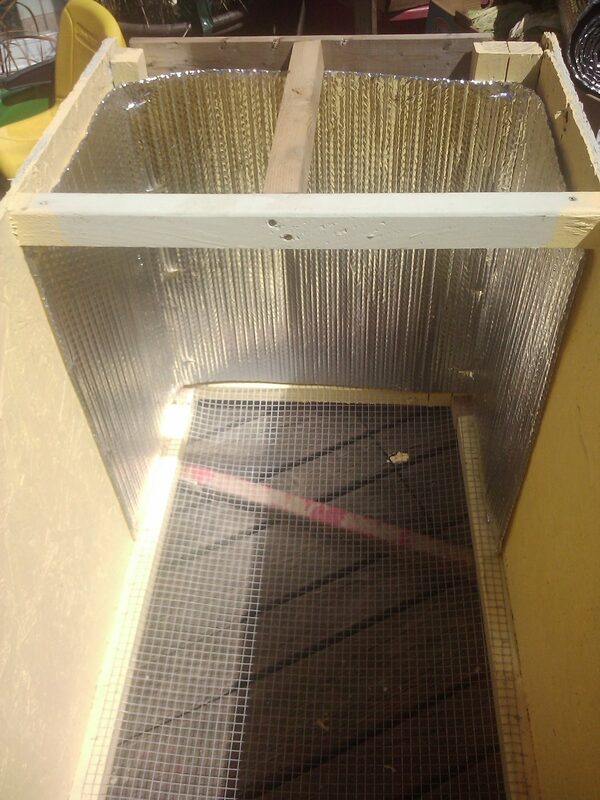 I stapled the insulation to the sides. Screwed in and wired the light, I used an extension cord with the end cut off. Stapled another piece of bubble wrap to the front and top of the T. This piece also covers the top. It is only stapled to the cross piece to give me access to the inside of the box. Put the box in. To hold it over the tub, I just piled bricks high enough and put a couple of 2x4s across them for the box to sit on. I ended up using duck tape to hold the door open, (No pun intended) This way if you get a cold night, just put it down. Adjust your heat by changing the wattage of your light bulbs. I stapled the bottom of the insulation to the box, but that didn't last long, I think when I change it I will put another cross piece down there. I also put cross pieces under where their 'pool' is so the wire wasn't supporting all the weight. I put a roof on it because it is out on the deck, but I don't have pics of that. They have been in there over a week now and I haven't had to clean duck mess yet, but I think I will tomorrow before the tub gets so full I can't move it! I took their pool out and put a waterer in, then I put the waterer in their pool. They still go through about 4 gallons a day! It's not pretty, but it was very cheap and it serves its purpose! 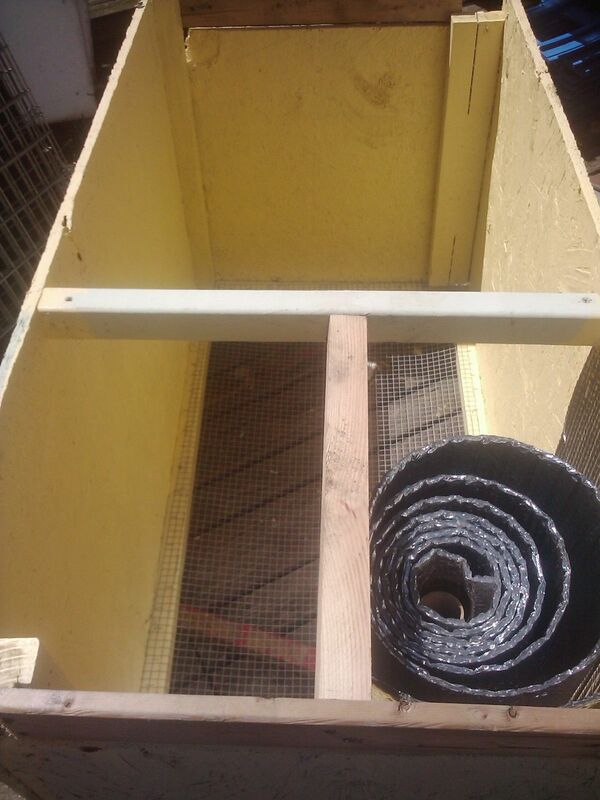 The Concrete mixing tub will make a nice pool when not in use for the brooder, it's about 2' x 3'. With the sloped sides it is much easier to empty than a kiddie pool. 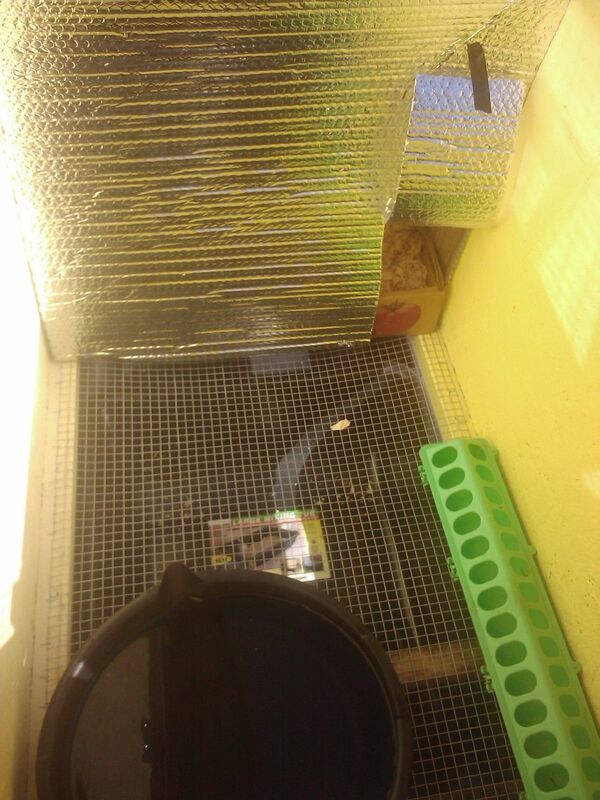 If you are only planning to brood ducks once you can turn it into a duck house when your done with the brooder by adding a floor and cutting a door.